$99 for 90 days Unlimited Yoga! Do as much yoga as you can. This is your opportunity to feel the benefits of a regular yoga practice at our studio. Tune in and take exquisite care of your body. Hydrate well and re-mineralize. Meet our vibrant community. 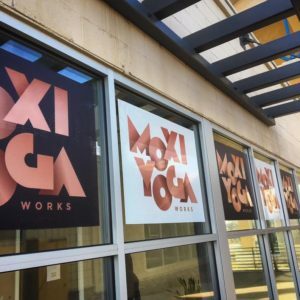 Available to Northern Colorado residents new to Moxi Yoga. One intro per person, anyone who purchased $30/30 does not qualify. One payment of $99 starts the 90 days. *3 month minimum commitment. After 3 months, clients wishing to cancel should notify us via email at info@moxiyogaworks.com 7 days prior to the next billing date to avoid new automated charges. Once charges have been made, no refunds can be given. Our class cards don’t expire, simply use them as you go. Class cards can be shared with a friend, as long as you attend class with them. $10 minimum to run a credit card. No refunds, transfers, or extensions.